I'm so glad you bought them all in the end! Would hate to think of one being left behind! I'm a big tea drinker too & first thing in the morning quantity wins over quality! You always make me laugh! I totally sympathise with your story and student spending! I justify funny things sometimes like "yes, I do need that cath kidston mug, my room is full of cath kidston therefore it would look at home!". I am also a believer in quantity of tea over a pretty mug! I feel we should do some more tea drinking together! Even though you say they are sturdy hey look a little like dolls tea cups too, which of course makes them even more delightful in my mind. Lovely! 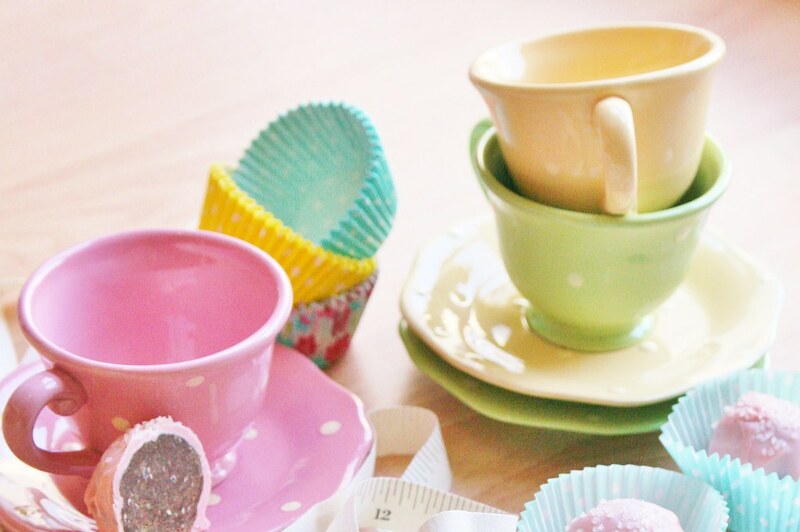 I love the story behind these teacups Kirsty, and I think it's so fab that what began as a single cup on a student budget turned into a family of teacups that have been with you through uni and trainee teaching and 'real' teaching! The fact that they're chunky and sturdy makes them all the more appealing to me. Like you, I'm definitely more of a mug person for the everyday cuppa, but I love to break out the dainty cups for special occasions! I am sipping coffee from a mug as I read this. It's a great hand thrown purple and cream colored mug with just the right handle. Sometimes something is made to be owned by you! Love your photo of your pretty mugs and always enjoy your tales from Girl Guiding to tea! Thanks for hanging with us over at Sian's! I'm a mug girl as well, but if I owned such cheerful tea cups, I'm sure I'd be sipping tea from them! they really are pretty and needed to be bought! Those cups are so cute. Where can I get them?! I just wanted to mention my site skin lightening, has some good skin care info on there. Okay, that's all, good day!